Pretty sure the ESD diode on that balun is a proper protection diode, BUT an antenna input protection diode isn't going to do much if the system isn't grounded properly on the antenna input side. there is only one SMD element antenna in use. To me it looks like a a resitor(capacitor which is unlikely) and this SMD element is located at the output side of the Balun towards the coax connector. For a long wire antenna which is asymetrical a 1:9 UnUn (Unbalanced/Unbalanced) would be the correct use unless two longwires of indentical length would form a symetrical antenna for which a 1:9 (Balanced/Unbalanced) is used. 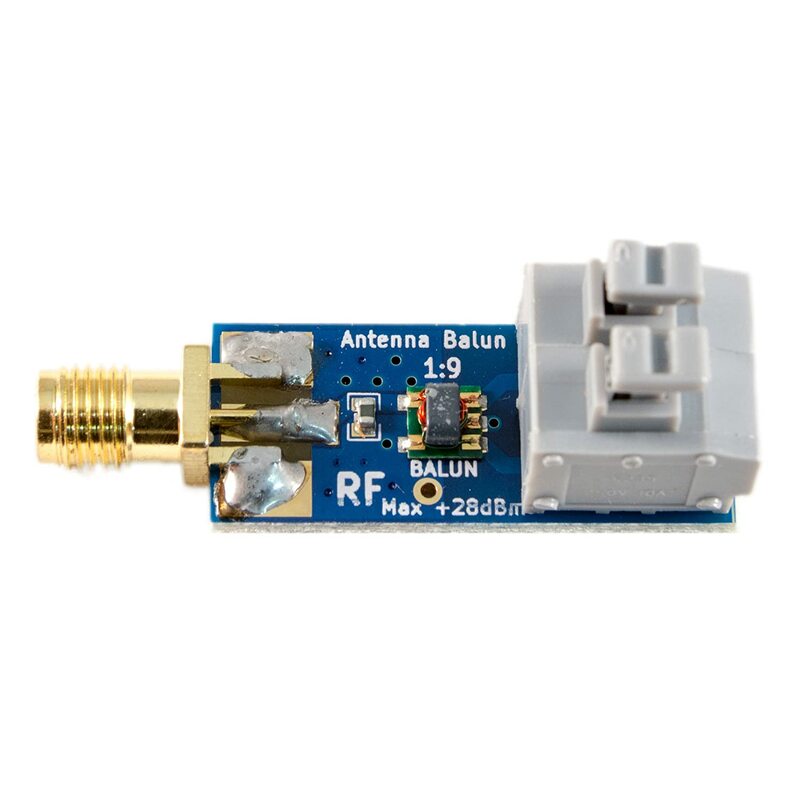 Has anyone read which frequency range the 1:9 BalUn is rated for? The SMD is a ESD protection device. It is a varistor on the 50 Ohm side of the Balun. The SDR must have a ground for this device to protect it. There is no ESD drain resistor on the antenna side as shown in their schematic. For a long wire antenna, there is a trace on the bottom of the balun that is cut. Then one post is for the antenna, the other for ground. A 1 Meg Ohm resistor should be installed between antenna and ground as a static drain.